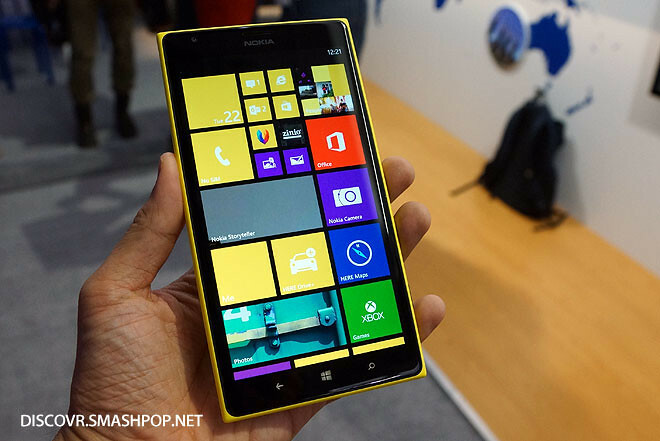 Alright so this is the first article out from Abu Dhabi here at the Nokia World 2013 event and we have the Lumia 1520 in hand. 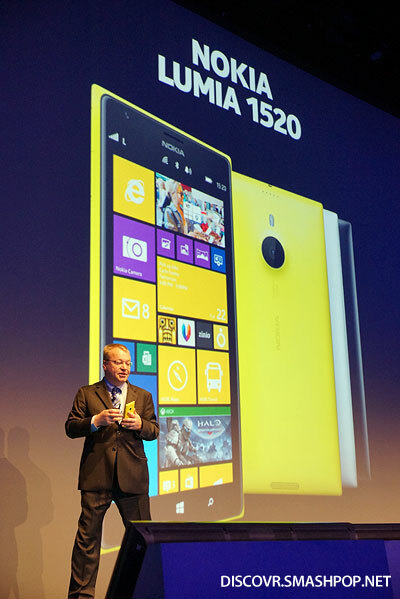 The Nokia Lumia 1520 features a 6-inch 1080p full HD screen, 20MP PureView camera with optical image stabilization, enhanced sensor technology, oversampling and outstanding zoom capabilities, along with the latest imaging app called Nokia Camera. 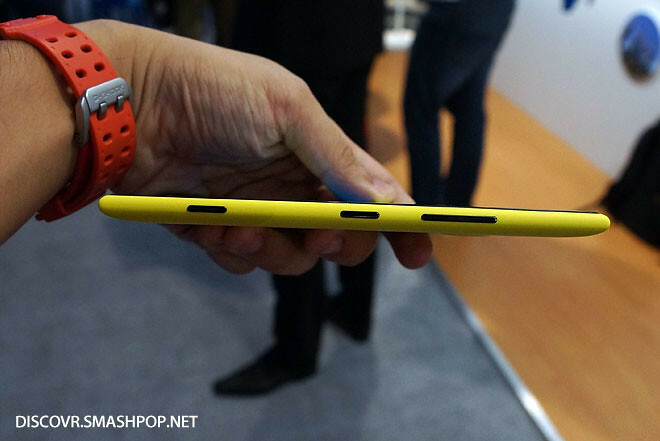 The Lumia 1520 is actually not as big as expected. 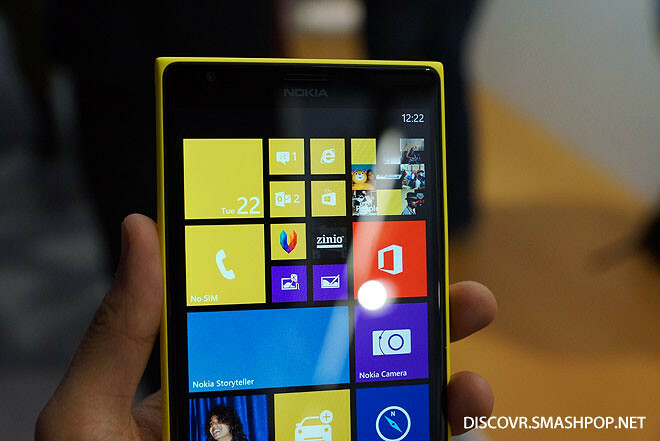 Since I have been using the Galaxy Note 3 for a while now, the 6″ Lumia actually feels and looks really good. The 3 column home screen now fits more tiles and we are able to view more of them without the need to scroll down. From the specs, this new device has a 20mpx Pureview camera and eventhough we do not have sample photos to show you guys for now, they look really amazing on the screen. What’s amazing is that the 1520 will come with Nokia Camera (a new app which combines Nokia Smart Camera and Nokia Pro camera). It also has this new feature called Refocus whereby you can take a photo and then select an area to focus after that. Impressive device, has lots of new apps from Nokia that will come along with it like Storyteller, new HERE maps, safe driving, and the screen is now super clear even under bright sunlight! So for now, I can say that I’m very excited about this device and will post a new article when I get to review it in the coming days. Oh btw, did you know that official Vine, Instagram and Flipboard apps will be coming to Windows Phone too? It will all happen in the coming weeks! 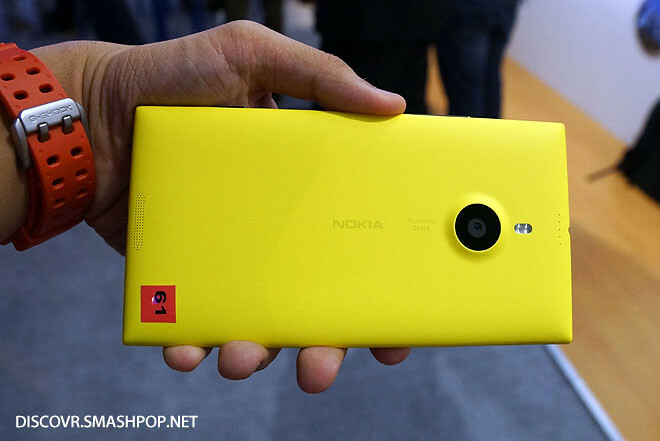 One Response to "Nokia Lumia 1520 Hands-On Preview [Video]"